They also had a display of Ozotic nail polish for sale which they have recently discontinued and are currently on clearance. I never realised how large the bottles of their Ozotic Mr Big polishes were until I saw them in person! They are located in the bottom right of the above photo. 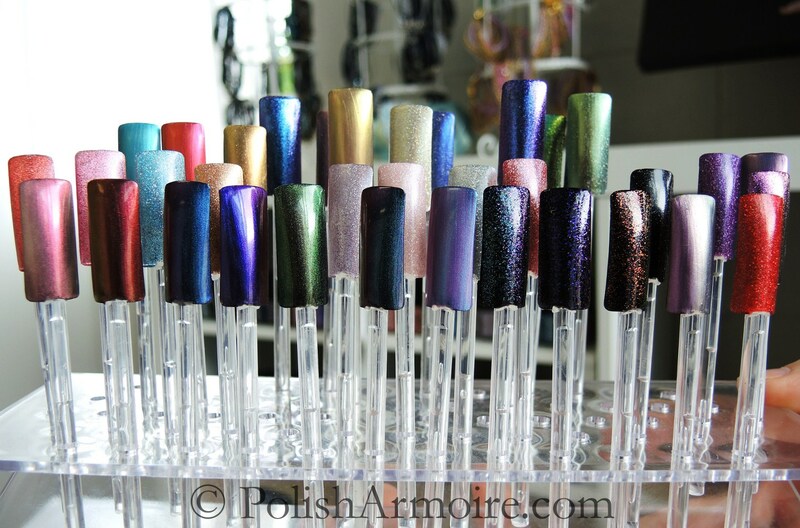 I loved how they also had a stand of swatch sticks for every single Ozotic polish, it took all my willpower to limit myself to purchasing only two Ozotic polishes! 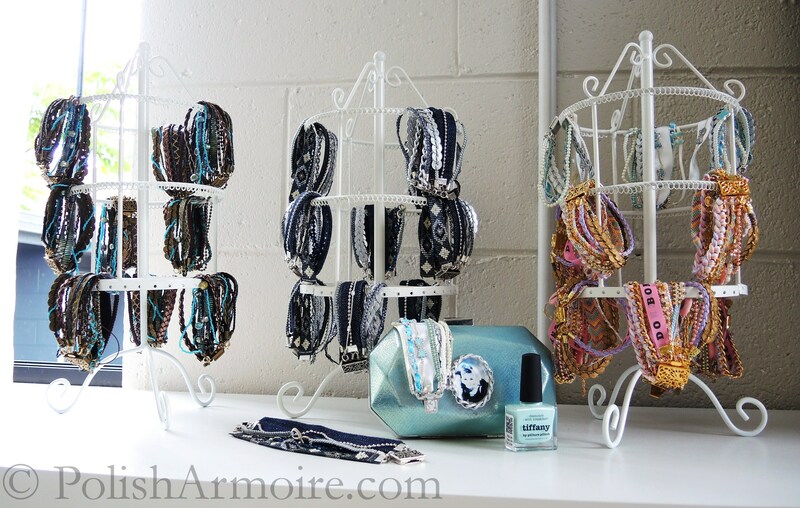 They also had a beautiful display of their arm cuffs and it was great being able to see them in person! They are currently on sale for AU$39.00. My favourite part of the gallery was the testing station! You were able to swatch some of the shades and they provided nail polish remover, cotton balls and cotton buds. I thought this was a great idea. I also loved how they had set out swatch sticks of every single Picture Polish shade in this area too, it definitely helped me with picking out which polishes to buy! I’ve already created a mani featuring the Picture Polish shades I bought so keep an eye out for that in the near future. If you ever get the chance, I highly recommend that you visit the Picture Polish Gallery which is located at Unit 2/63 West Burleigh Road, Burleigh Heads QLD Australia. Be sure to make an appointment first! I think that this gallery is a great idea and I wish that other nail polish brands also started their own gallery as it was well worth the visit. Tags: nail polish gallery, picture polish gallery. Bookmark the permalink. Swatch photos were definitely by more nail polish! Love her! And soo jealous grace! Heaven! THIS is a truly amazing place!